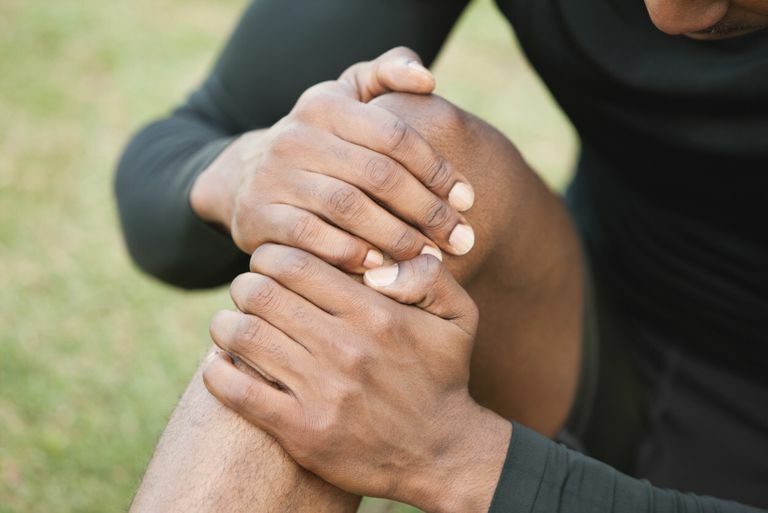 If you have suffered an injury to your knee, you may benefit from physical therapy to help improve your knee range of motion (ROM) and strength. Your physical therapist may perform special tests to determine if you have damaged specific structures or ligaments in your knee. The anterior cruciate ligament (ACL) is an important structure in your knee. It helps to prevent forward slippage of your shin bone under your thigh bone. Injury to your ACL causes a feeling of instability in your knee and may prevent you from participating in high-level activities and athletics. How Do I Know If My ACL Is Torn? If you have knee pain after suffering an injury, your doctor or physical therapist can help determine if your ACL (or another structure) is potentially damaged. He or she can then ensure that you receive the proper treatment for your knee. To initially assess the integrity of your ACL, your physical therapist or doctor may perform the anterior drawer test for your knee. This is done by having your therapist gently pull your shin bone forward while stabilizing your foot. If your shin glides forward more on your injured knee as compared to your non-injured knee, there is a possibility that you have torn your ACL. If you suspect you have torn your ACL, it is recommended you visit your doctor to confirm your suspicions. He or she will likely order an MRI to better assess the internal structures of your knee. If you have torn your ACL, your doctor may refer you to physical therapy to help you regain normal mobility. Your first appointment in physical therapy is called an initial evaluation, and during this session your PT will collect information about your condition to help devise a treatment plan. Once your physical therapist completes an initial evaluation and assessment, he or she will work with you to develop an appropriate treatment plan. Be sure to work closely with your PT to develop goals, and ask any questions if you do not understand your diagnosis, prognosis, or treatment. Pain control: Your physical therapist can use various treatment techniques to help decrease your knee pain. Ice packs may be used to decrease swelling, and occasionally TENS may be used on your knee to decrease the pain that you are feeling. Gait training: If you are walking with an assistive device like crutches, your physical therapist can teach you how to use them properly. He or she can also help your progress from walking with crutches to walking normally with no assistive device. Swelling management: The R.I.C.E. principle is one of the best ways to decrease swelling in your knee. This involves rest, ice, compression, and elevation of your knee. Improving quadriceps contraction: After an ACL tear, your quadriceps muscle on the top of your thigh virtually shuts off and stops working properly. One of the main goals of physical therapy after a knee injury is to regain normal quadriceps control. Your physical therapist may use a form of electrical stimulation called NMES or Russian Stimulation to help accomplish this task. Quadriceps strengthening exercises, like straight leg raises, will also be prescribed. Strengthening exercises: In addition to performing exercises to strengthen your quadriceps, other strengthening exercises for your hamstrings and hip muscles may be necessary during your ACL rehab. Range of motion exercises: After an ACL tear, pain and swelling in your knee may limit your knee range of motion. Knee ROM exercises like the prone hang can be done to help improve and normalize your knee mobility. Balance exercises: After a knee injury, you may notice you are having difficulty maintaining appropriate balance on your injured leg. Balance exercises using a wobble board or a BAPS board may be necessary to regain normal proprioception, or body awareness, after your injury. Plyometrics: If you are planning on returning to high-level sports, then your physical therapy plan of care should include plyometric training. Learning to properly jump and land can help you regain the confidence needed to return to athletics. One of the most important components of your ACL rehab program is to learn how to prevent future problems with your knee. Be sure to work with your physical therapist to determine the variables that may have contributed to your injury, and devise an exercise strategy to prevent another ACL injury. What if My Knee Pain Continues? If you have torn your ACL and have attended physical therapy to restore normal mobility and function but still continue with the feeling of instability, you may need to consider surgery to repair your ACL. You should speak with your doctor to help you decide on the best course of treatment for your ACL and to determine if a surgical repair is a good option for you. In general, if you wish to return to high-intensity sports that require running, stopping and starting, or jumping, you may wish to consider an ACL repair. If you do have knee surgery, you may benefit from physical therapy after an ACL repair to help you return to normal activity and function. Your PT can help guide you through you post-operative ACL protocol to get you up and moving quickly and safely. If you have injured your knee and have sprained your ACL, you may benefit from physical therapy to help you improve your ROM and strength, decrease knee pain and swelling, and help you return to your previous level of function. What Exercises Should You Do to Prepare for ACL Surgery? What Is a Lisfranc Fracture and How Can PT Help?